But the catch is in the next part of the scripture. We then have to trust Him with it and not pick it back up again! I am sure I am not the only one that surrenders something to the Lord in a “Holy Moment” only to go get it back and start worrying about it all over again. But when we leave it there with Him, the result will be His action on our behalf. And I am living proof of that!! I have had such peace this year, because I made a choice to commit my ways to the Lord at the beginning of his year. At times I felt like I should be more uneasy or more frantic than I was, but I knew why I had peace. I knew my current situations were not surprises to God. I knew He had a plan, and I just had to trust Him. A new season is on the horizon for me to do something I’ve always had a love for, but I have ran from for a long time. I will get to marry my two loves of teaching music and training young worship leaders. Things that never would have happened if I would have stayed in the nest. We have pieces of the puzzle sometimes and we go full throttle in one particular direction to pursue those things, when in actuality God has more things to add to our puzzle in order to expand it and us. 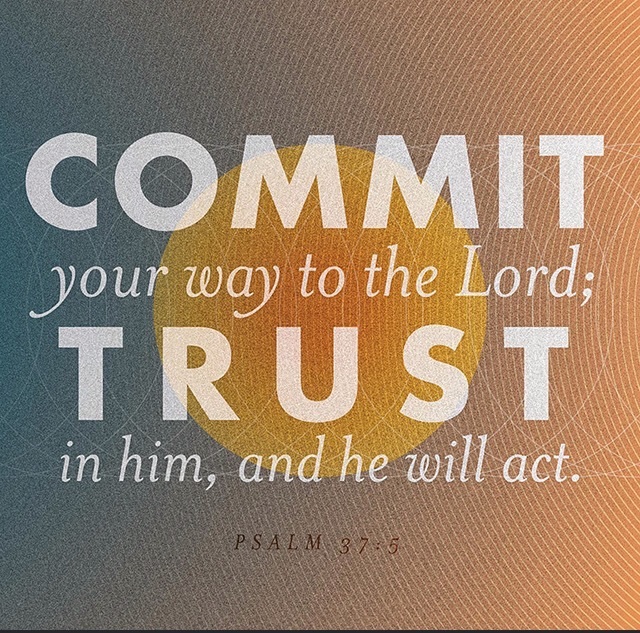 But when we commit our ways to Him, even when things hurt or don’t make sense, and trust Him despite what we see, we can rest assured that He will ACT! !